Perhaps inspired by the Bloggers Challenge or my own Specimen Challenge I popped out for a few hours eel fishing yesterday evening - first time in years I've deliberately targeted eels! Fishing a ledgered thin slice of luncheon meat in a few weirs and holes I thought I'd get a few on the scoreboard before trying to work out how to target the bigger ones - 3lb plus is the target. 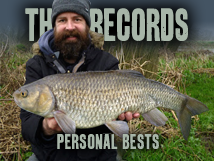 But it's an old photo above, I couldn't find one, or they just weren't feeding - I had a chub and three barbel; 4lb, 6lb 8oz and 8lb 9oz - makes a change eel fishing and getting plagued by barbel... Love it! they've been a pain this season,but none around yesterday night either,just barbel and chub.hooray! 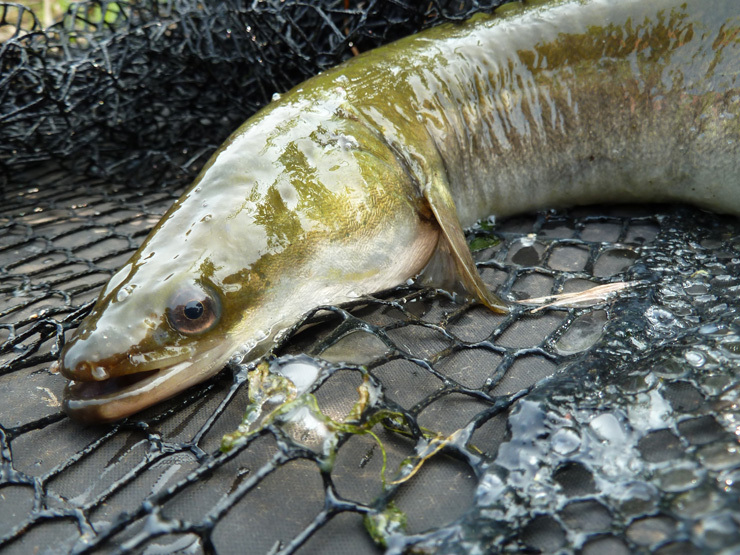 On one of my little waters get at least one a trip when floatfishing this year, we are thinking of a proper go for them. They fizz like bream the little buggers. Grant, have you seen any big ones? Two pound plus - I've only had a couple of bootlaces in the last two seasons on the river. probably peaking at 2lb-i wouldn't weigh the buggers.you should be able to work these out-under the footbrige-sains,on the mud you fished with dan,just downstream of the substation by the closed corrugated bridge-the latter is like monty python's hovercraft! they seem to prefer full moons,if the sky is clear.not sure if you can still get it but dried blood in groundbait used to work.stinks tho',better not use it near date night!then there's fishmeal.one thing for sure-they're not in decline in the river.near the confluence may be worth a go too.heard of big chub in the area. Thanks Grant - must get out again. Lobworms after a rainstorm always used to produce the goods, so next time that lines up with spare time I'm on it.